The Feminist Liberation Theologians’ Network sponsored by the Women’s Alliance for Theology, Ethics, and Ritual (WATER) will discuss Intersectionality and Political Action. 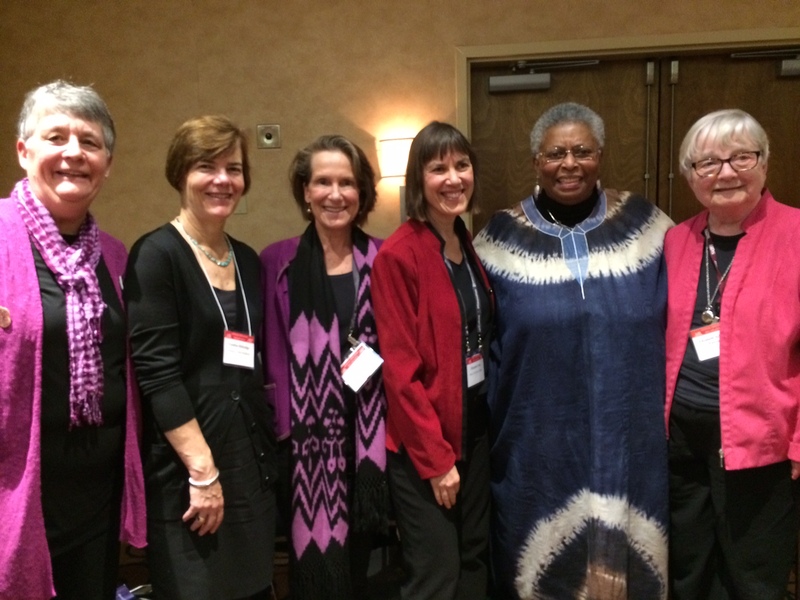 This year, as last year, the Women’s Caucus and the Feminist Liberation Theologians’ Network will collaborate to continue our discussion in a Caucus session on Saturday, November 19, 2016 from 9-11:30 AM in the Women’s Lounge. They have scheduled papers that dovetail with our theme, and there will be time for some responses to our work. This is a wonderful opportunity for those who wish to deepen conversation about our theme of intersectionality and political action. You are more than welcome to attend the Caucus session, though it is not obligatory. Mary E. Hunt will be there to offer a response from our group and other voices are more than welcome.